Community members played a vital role in defining the network, priorities, and other components of the Greater Nyack Bicycle and Pedestrian Master Plan. For the plan to fully represent the needs of the community, public awareness, constructive dialogue, and ample opportunity to provide feedback were essential. 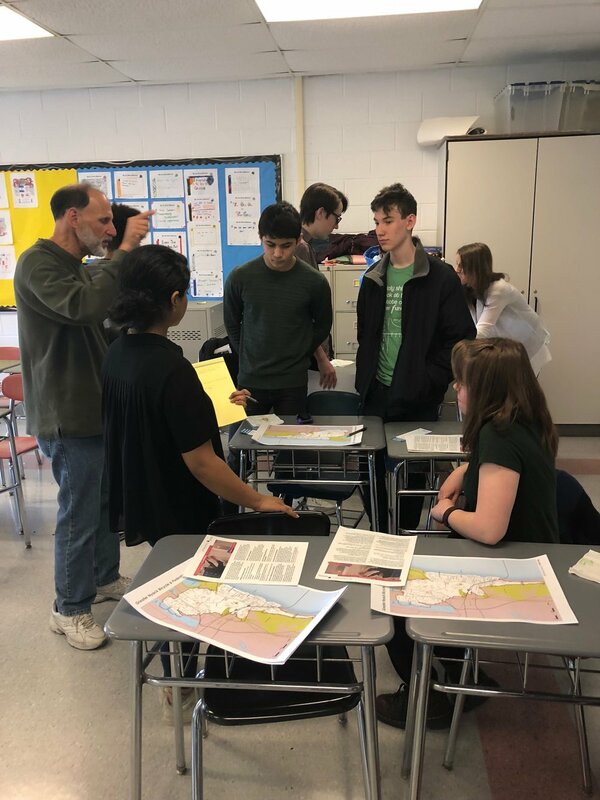 In addition to receiving input via the website and online mapping tool, the project team coordinated two pop-up events to receive input on how to improve the walking and biking environment in Nyack river villages and school district. A public Open House was held at 7pm on June 12 at Nyack High School. The project team presented draft Master Plan recommendations and an overview of the study process. Presentation documents are available on the project updates page. 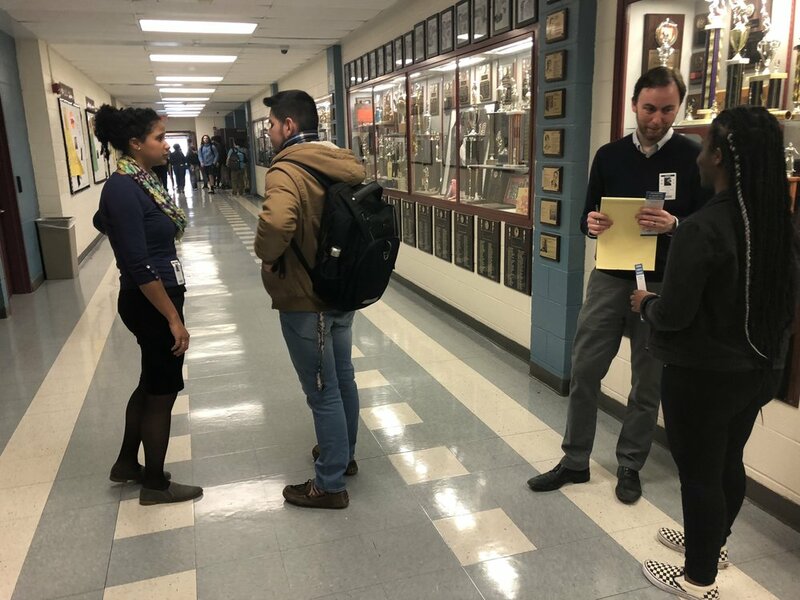 On Wednesday, April 11, 2018 the Greater Nyack Bicycle and Pedestrian Master Plan team visited Nyack High School to better understand how students and faculty decide how to get to school. 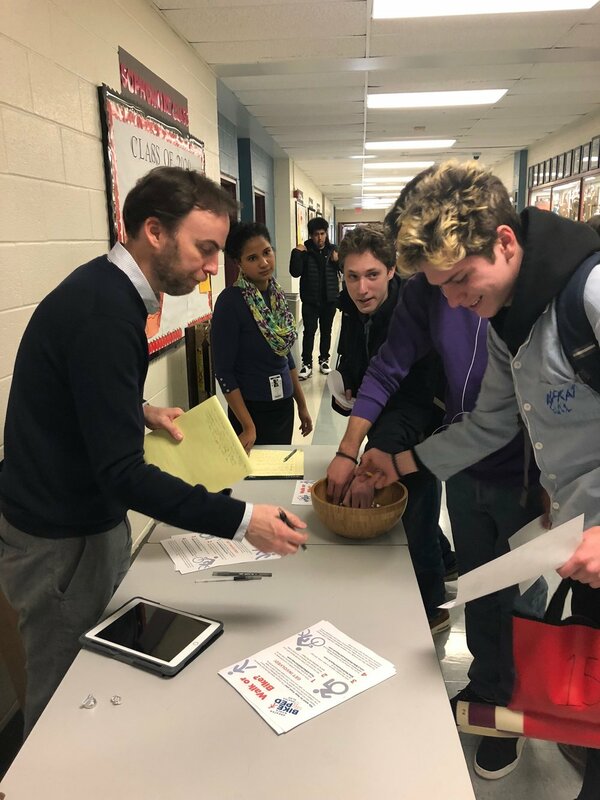 Project team members set up a booth outside the cafeteria where they handed out bookmarks, spoke with students about their walking or bicycling concerns, and surveyed students and faculty as they passed by on their way to lunch. 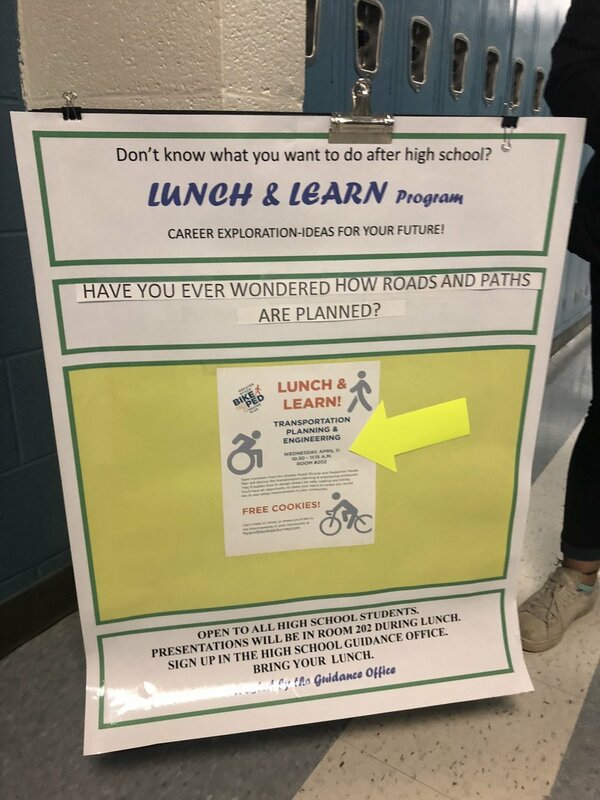 A Lunch & Learn session was held simultaneously to introduce students to the planning profession and solicit feedback on the walking and biking environment in their neighborhoods and around the school. 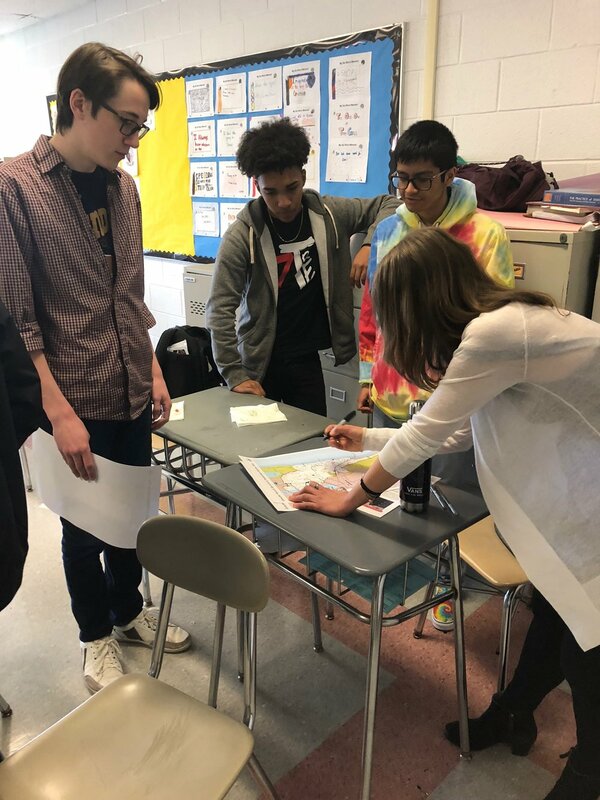 The project team spoke with 160 students and faculty members and learned valuable information on the barriers to biking and walking to Nyack High School. On Saturday, April 21, 2018, the Greater Nyack Bicycle and Pedestrian Master Plan team attended the Nyack Earth Day Celebration and Music Fest. Team members distributed bookmarks at the information booth, spoke to Earth Day attendees about the importance of a well-connected and upgraded bicycle and pedestrian network, and encouraged passersby to share their thoughts on a feedback banner. The project team installed two demonstration projects to provide a preview of improvements that could be possible through the plan. A temporary curb extension with tables and chairs showed community members the benefit of shorter crossing distances, and a protected bike lane demonstrated how the road can be readjusted to accommodate a variety of users.